HCG pellets are a relatively new form of the hormone that can be taken orally. They are designed to dissolve under the tongue and release the appropriate amount of HCG. Here is a brief comparison of what you can expect from using pellets vs. injections. The well-known HCG injection protocol was established in the 1950s. It entailed mixing the hormone in a sterile saline solution and injecting an amount that would provide 125 I.U. per day in a single injection. Dr. Simeons recommended that this process be repeated for six days each week, with a one day break. Products for injections are now available that require the end user to mix the right amount sterile water (called bacteriostatic water) into a vial of dry HCG powder. Dissolved HCG is then taken up into a syringe for injection into a fatty place on the abdomen. Lots of videos on YouTube show how to mix and self-administer HCG injections. The whole process is not all that complicated, although it does require good technique for getting the right amount of HCG on a daily basis and for keeping the mixture sterile. Compounding pharmacies now have the ability to make oral forms of HCG as sublingual drops or as sublingual pellets. The key for either of these is to get the equivalent amount of HCG into your system that matches what you would get by injection. Although the area under the tongue absorbs very well, sublingual absorption is not as good as absorption from injections. Advantages of the pellets are that they don’t have to be mixed or injected. One pellet under the tongue, twice per day, is as simple as it gets. One other advantage regarding pellets is that they are more stable at room temperature. This has been a boon for those who travel or take their HCG to work each day. It is important to keep the pellets cool, and they will last longer if refrigerated. It is just not as critical to do so as it is with liquid forms of the hormone. Pharmacies who make the pellets report equivalent results in comparison with other forms of HCG. In my experience, based on my own use of them as well as use by many clients, I would concur. They perform just as well as do the sublingual drops and injections. The only objection that might pop up is that, since pellets contain more HCG than drops or injections, they cost a little bit more (i.e., about 25 percent). The HCG weight loss protocol is an easy do it yourself approach to fat loss for most people. Nevertheless, some folks, who have more money to burn and maybe less self confidence in their own judgment, feel the need for doctors and clinics. This just makes things more expensive and more complicated. The article below is a testimonial to one such clinic. This is an example of clever marketing for getting you to the clinic. HCG Weight Loss is not like the typical diet or weight loss plan that you see advertised on TV or read about in magazines. There are many things that sets this. Nothing, really. The clinic that is mentioned, HCGSlimXpress, has a wonderful weight loss program. It offers HCG treatment as one of the approaches. 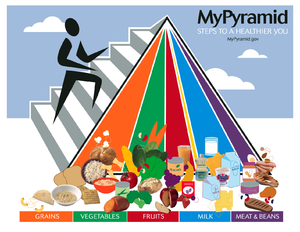 Dozens of other products, including a branded food scale, are included. Look, these folks have to make money. Nothing wrong with that. If you feel the need for an expensive and complicated HCG weight loss protocol, this clinic or something like it may be what you are looking for. These kinds of clinics thrive, so they must be doing something right. Right? Sometimes people make the simple HCG weight loss diet more complicated than it should be. The core protocol has been around for more than 50 years. Some modifications can make it better now. However, too much nonsense has been added to it. Here is one example. 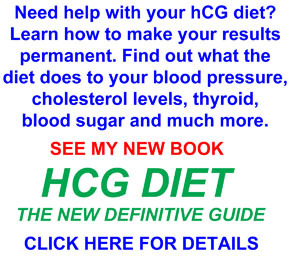 There’s a lot of controversy surrounding the HCG diet. In truth the thought of 500 energy is just tough to wrap your arms around. Nevertheless, is HCG actually. That business about what to do before starting the protocol is new. And it is unnecessary. The outline at the above article on the overall phases of HCG weight loss still hits the basics fairly well, though. Take a look at this video and comment if you can help Shana. I already did so. She would clearly benefit from a steak and apple day TODAY! Share you experience with her. She needs help and has apparently lost confidence in her doctor. She has retained too much food in her system, and therefore too much water to keep it from becoming sludge. My guess is that she is also constipated. Any suggestions for her? HcG Diet Phase 3 Day 16 WEIGHT GAIN! ok…so I went on a 4.4 mile hike yesterday and gained 3.5 pounds! How that is possible?? Have no clue. Please comment below and give me tips. Today is 6.7.2010.